The Ten Thunders are a very diverse group of models - many of them hailing from a second faction - that don't really have any defining focus, other than their lack of focus. 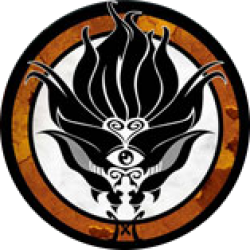 In many ways, the Ten Thunders are the wildcard of Malifaux, for while an opponent generally knows how a Resurrectionist or Arcanist force will approach a battle, the wide hiring pool and vast differences in how each Ten Thunders Master operates makes it hard to predict just what they'll bring to the table. Most Ten Thunders Masters are dual-faction, and thus can bring select models from their second faction with them into a Ten Thunders crew. This allows them to exploit the resources of the other factions, often opening up tactical combinations and synergies unavailable to anyone else. The Ten Thunders also have a number of models which owe allegiance to no one but themselves, and these models tend to be balanced between melee and ranged combat, making them versatile and useful to every Ten Thunders Master. Miniatures are supplied unpainted. Preparation and assembly may be required. .. Ten Thunders Box Set, containing 32mm 'heroic' scale miniatures made of high quality plastic. Will r.. Box contains three Fermented River Monks.Miniatures are supplied unpainted and assembly may be r.. Ten Thunders Box Set, containing one 32mm 'heroic' scale miniature made of high quality Plastic. Wil..
Neverborn/Ten Thunders Box Set, containing five 32mm 'heroic' scale miniatures made..